A great threat to the Sith Empire--and to the Galactic Republic--has surfaced on the Outer Rim pirate haven Rishi: an enigmatic cult led by none other than REVAN himself. ? Working together, Sith Lord LANA BENIKO and Republic SIS agent THERON SHAN have enlisted the help of <name> in stopping the Revanite conspiracy before it dismantles both galactic powers from within. ? 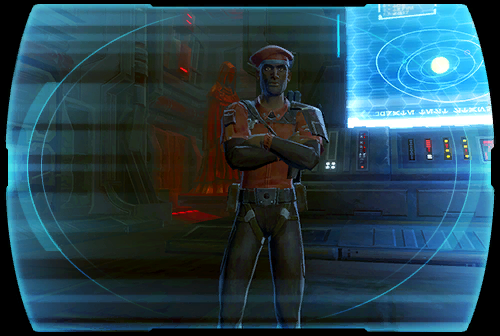 With Theron Shan taken prisoner and the exact nature of their plans unknown, <name> must convince a Republic Revanite to give up the location of the Revanites' hidden base before it's too late.... ?